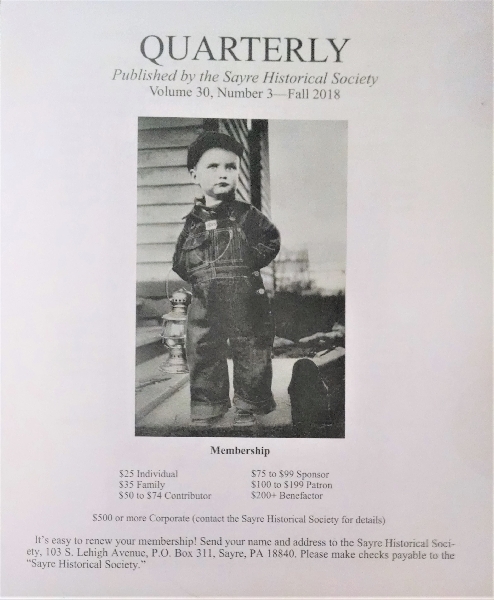 The Quarterly is a publication of the Sayre Historical Society with historical accountings of individuals and places in Sayre and local areas. 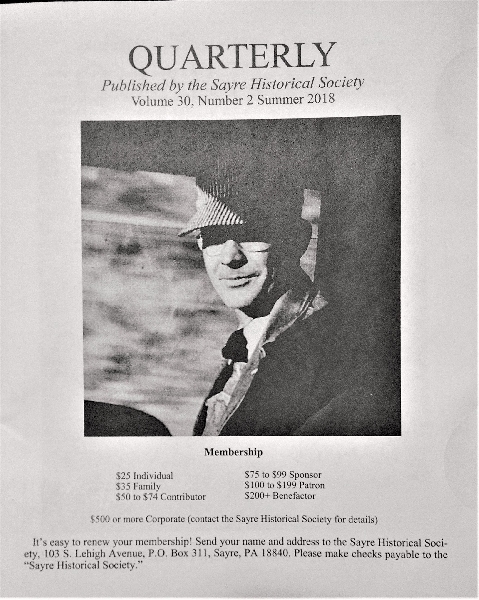 Become a member and receive a different Quarterly 4 times a year right to your door. If you travel in the winter not to worry it can be arranged to have them delivered to your other home. Single price $3.75 and $1.50 shipping and handling. 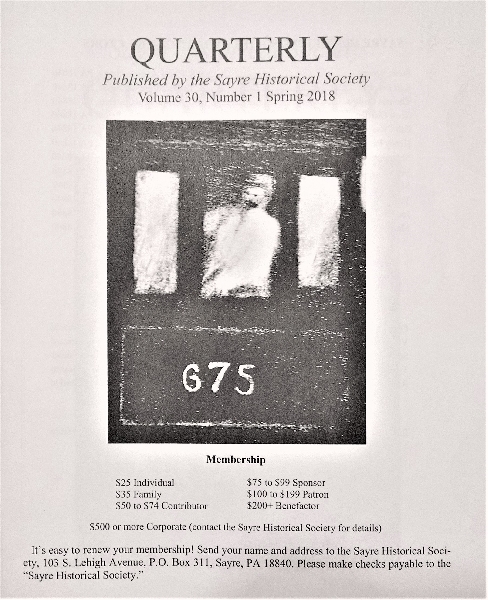 $25.00 membership includes 4 Quarterlys.